LAPD Officers Earl John Bickel, 38, and Raymond E. McPherson, 37, were on patrol in the northeastern part of the San Fernando Valley on the evening of Monday, Aug. 30, 1937. McPherson was behind the wheel as their patrol car headed north on San Fernando Road in Pacoima, just a few miles from Bickel's home in Sunland. 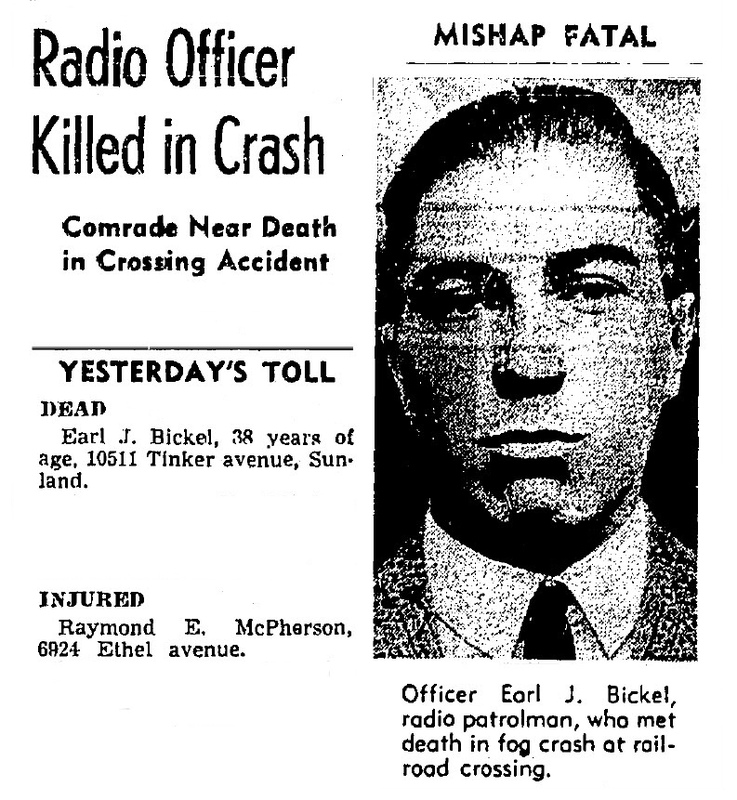 Bickel joined the LAPD in November 1923, shortly after he arrived in Los Angeles from Kansas. McPherson, a native of Oklahoma, joined the force in October 1924. It was an especially foggy evening in the valley as their patrol car turned right onto Osborne Street, toward the tracks of the Southern Pacific Railroad. So foggy that the the two officers didn't realize they were heading directly into the path of a northbound freight train. When McPherson saw the approaching train, he quickly attempted to turn away, but the speeding locomotive side-swiped the passenger side of the patrol car, pushing it into the steel support of the crossing signal. Bickel died at the scene. 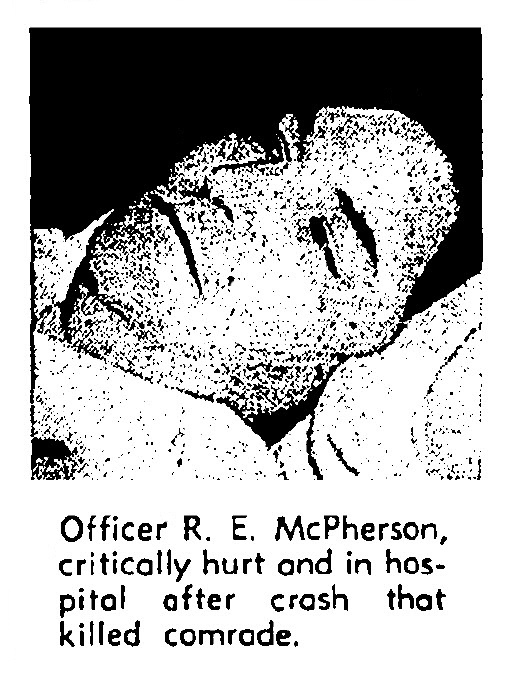 McPherson suffered a fractured leg and internal injuries, and was taken to the Georgia Street Receiving Hospital, where he eventually recovered and returned to the force. 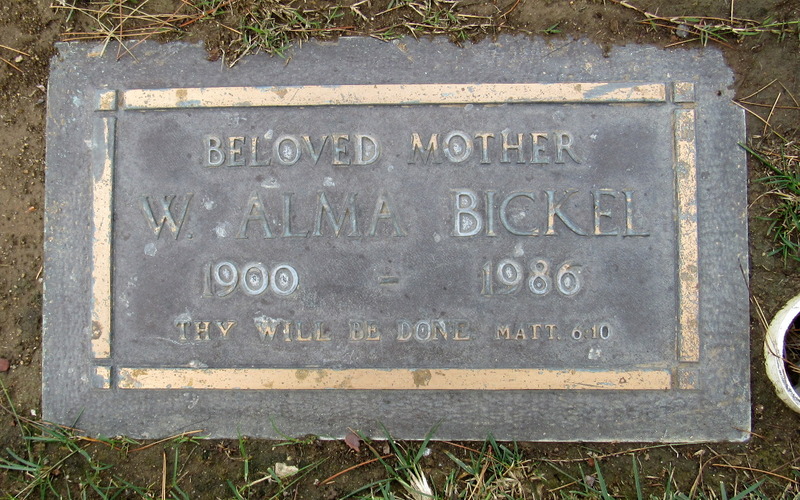 Bickel was born July 15, 1899, in tiny Washington, Kansas, the oldest of six children of John Paul and Laura Frager Bickel. Bickel moved to Los Angeles and joined the LAPD in 1923. His younger brother Walter moved to Los Angeles the following year, but the rest of the family remained in Kansas. In about 1925, Bickel married Texas native Willie Alma Cooksey, and they had two children -- Lorraine June, born in 1927, and Duane Lowell, born in 1929. At the time of Bickel's death, Lorraine was 10 and Duane was 8. The family lived on Tinker Avenue in Sunland. 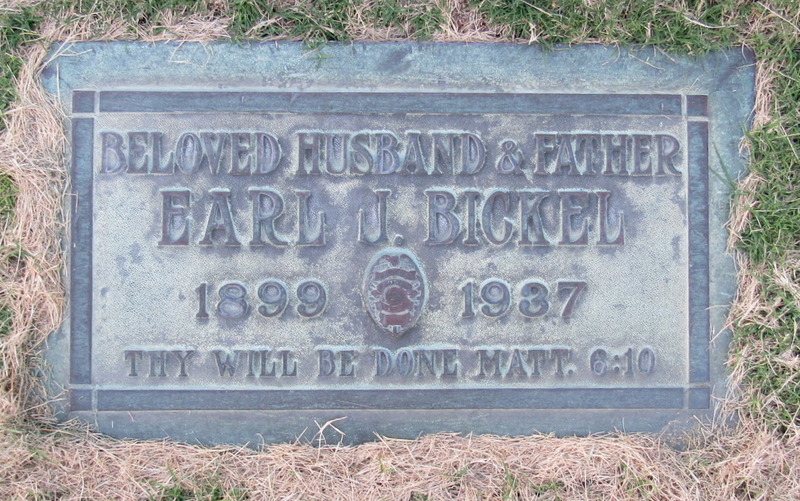 Bickel was buried at Forest Lawn Memorial Park in Glendale, where his widow joined him 49 years later, although she's buried in a different section of the cemetery. Their grave markers also have the same epitaph -- "Thy Will Be Done - Matt. 6:10." Officer Bickel’s sign is located on the southwest corner of San Fernando Road and Osborne Street.